Hi guys! 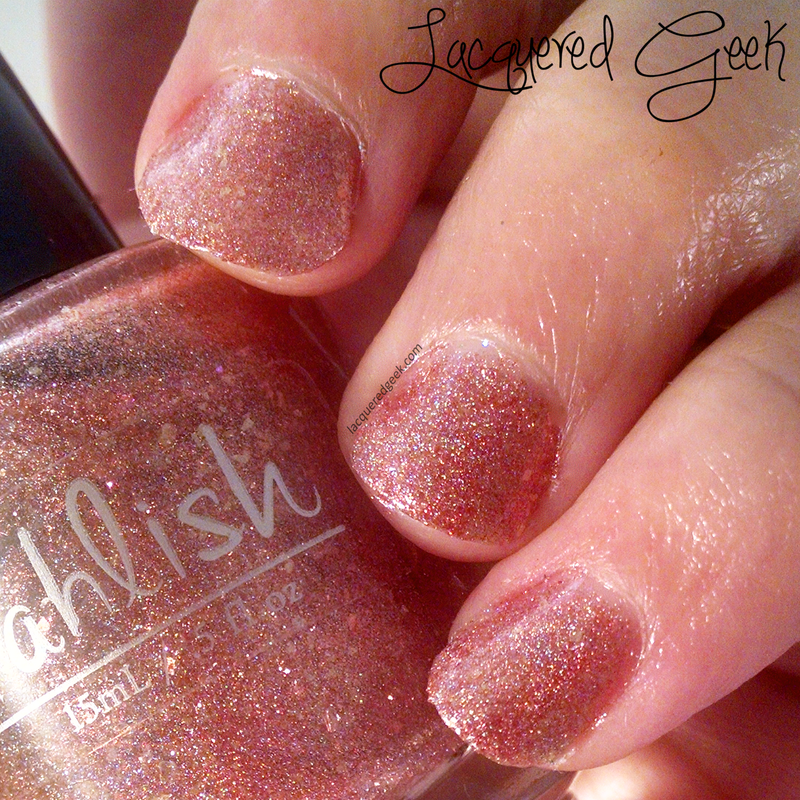 I haven't shaken this sickness,and I wasn't able to get into Urgent Care over the weekend so today's post is going to be super quick, and it will be mostly pictures of a very pretty polish - "The Good Dalek" from Pahlish. 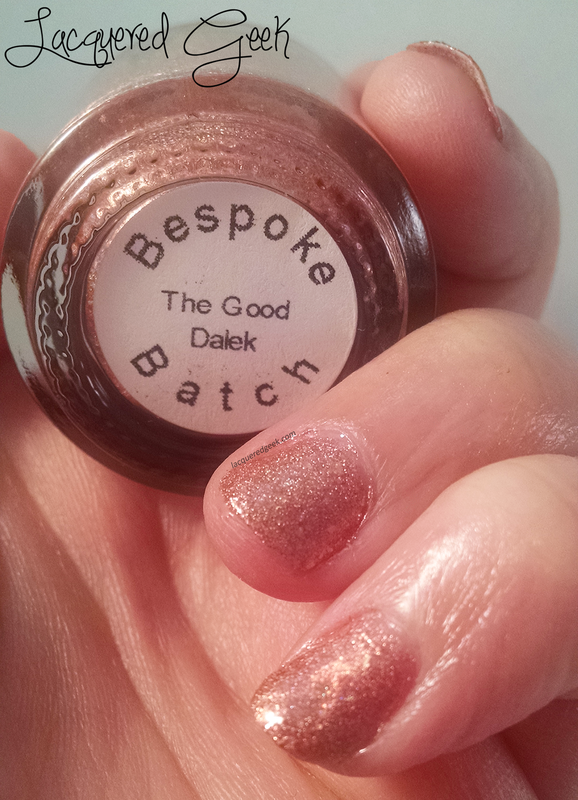 The Good Dalek is a Bespoke polish from awhile back, and was inspired by an episode of Doctor Who (and you know how I love anything Doctor Who related!!). 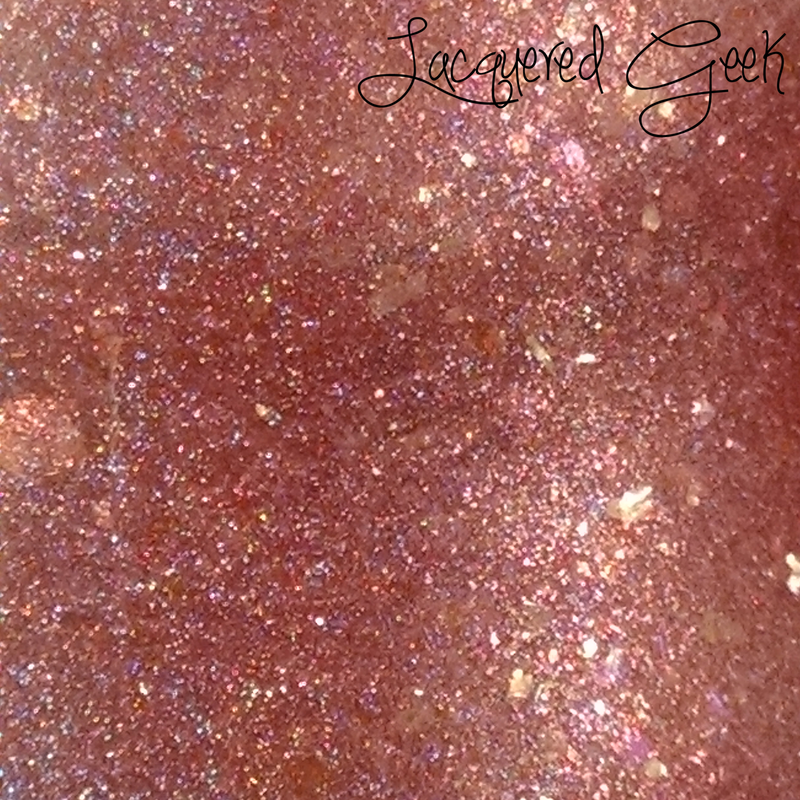 The Good Dalek is described as a rose gold holographic with flakes. 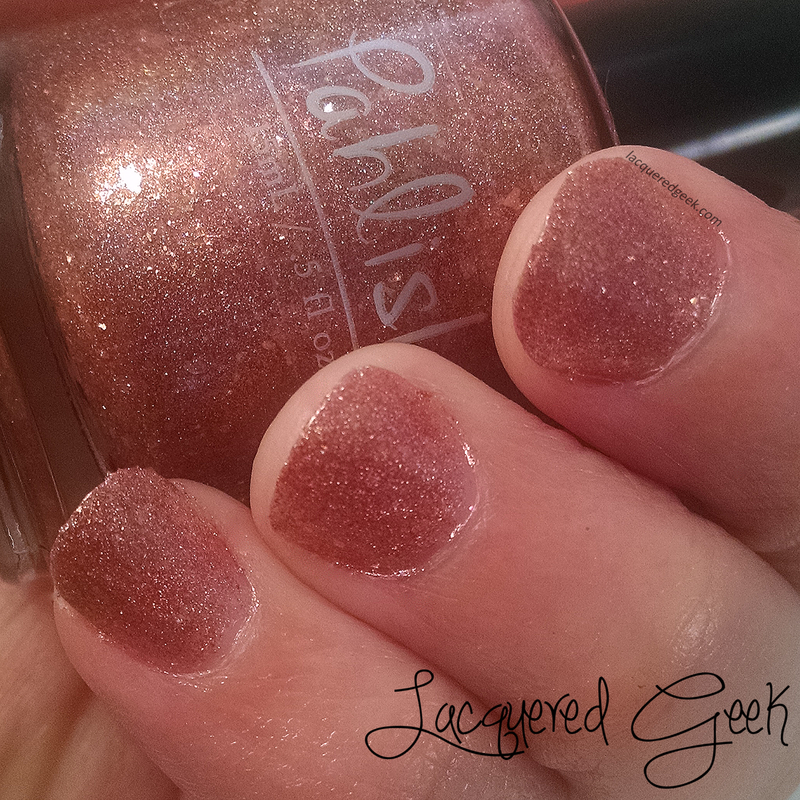 The formula was just perfect, and the polish just went on like butter! I used 2 coats in these photos, and topped it off with a quick dry top coat. It is a gorgeous color, but I am not sure if it works well with my skin tone. I will have to give it another go when there is more sun! You can really see the flakes in this close up photo! So what do you think of this polish? 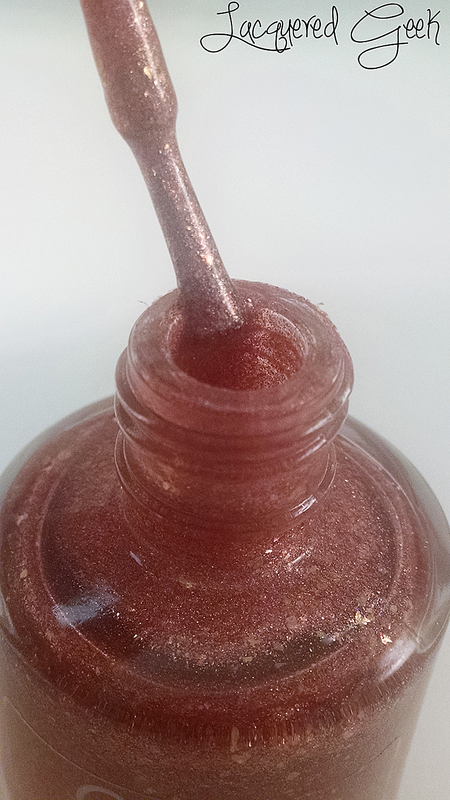 Don't you hate when beautiful polishes don't play nicely with your skin tone?